Now that the iPhone has been around for a while – over a decade in fact – many of us probably have an old phone lying around in an odd drawer in the house. We probably lie to ourselves and say that the old mobile is for a rainy day, or in case you need an ‘emergency’ phone. However, if you have one or more mobile phones lying around, you may want to think about recycling it! Mobile recycling service Mobile Muster claims that more than 23 million old mobile phones are going to waste in storage, not being used. However, the not-for-profit company did say that recycling is growing in Australia. In 2015-16, Mobile Muster collected 75 tonnes of mobile phone components, including over one million handsets and batteries. Consumers are still hoarding their phones, though; 42% admitted to holding onto two or more handsets. As mobile phone use proliferates across nearly every age group, this number is only likely to increase. So what does one do when they want to recycle their old phone? Canstar Blue reveals how to recycle your old phone, where to recycle it, and what the benefits are. 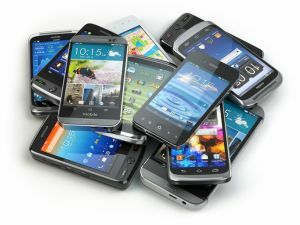 How do I recycle my mobile phone? Repair it: Chances are if it’s just a cracked screen or a minor fault it can be repaired and resold or reused. Hand it down, or up: If you have a sibling, parent or friend in need of a mobile, they may appreciate your old mobile phone. Don’t forget about the elderly folk in your life! Donate: Certain charities may accept old mobile phones in good conditions, either for reselling in an op shop or to donate directly to those in need. When looking to give away or dispose of your mobile phone, to ensure privacy you’ll probably want to wipe data from both your phone and SIM card, and factory reset the phone. Mobile Muster states it does this as part of its recycling program. Where can I recycle my mobile phone? Mobile Muster is perhaps the foremost provider of mobile phone recycling facilities in Australia and boasts over 3000 drop-off locations. Locations can be found here, through the postcode finder. The top mobile phone-recycling council in Australia per capita was the District Council of Orroroo-Carneton in South Australia. What can be recycled in a mobile phone? Mobile Muster states it extracts and breaks down plastics, precious metals and copper, as well as cadmium and nickel. Metals and components are then broken down and reused in things like plastic fence posts, stainless steel appliances and electronics, as well as new batteries. Mobile Muster states that over 95% of materials found in mobile phones, batteries and chargers are recovered, meaning that your old mobile phone can actually go a long way and add a lot of value to the recycling process. Several key mobile providers fund Mobile Muster to provide its phone recycling service throughout Australia. They are Telstra, Optus, Vodafone and Virgin Mobile. 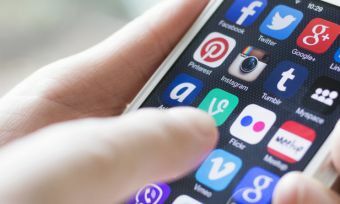 If you’re thinking of bringing back that disused mobile phone from the dead and using it as a true spare, emergency phone, you might like to consider some of these long-expiry plans. Should I recycle my old mobile phone? Absolutely. With Mobile Muster having more than 3000 locations Australia-wide, there’s probably a drop-off box or ten in your town. This is especially true for capital cities, where there are hundreds littered (pardon the pun) in shops around the CBDs. Alternatively, recycling is made even easier as Mobile Muster allows you to send your old mobile phone in, and all data is erased for peace of mind. Not only is this good for the environment, but it declutters your home and the precious metals in your phone can go a long way in being recycled for use in other appliances and electronics. The next time you’re doing a spring clean, it may pay to keep in mind your old mobile phone, and ask yourself if you really want to hang on to that dead phone with a cracked screen.